Fit 0-36kg ( birth to 12 years ). 5 point harness up to 25kg ( group II ). ISOFIX ( rigidfix + top tether, group 0+, I ). 3 point car belt fitting for all stage. 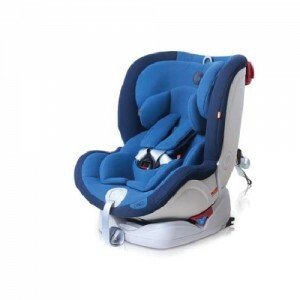 In the current car seats industry, the 5 point harness is always used to only 15kg (GROUP 1). However, the market investigation has shown children up to 15kg might not be strong enough to directly wear the 3 point car belt, with a next stage group 2&3 booster seat. 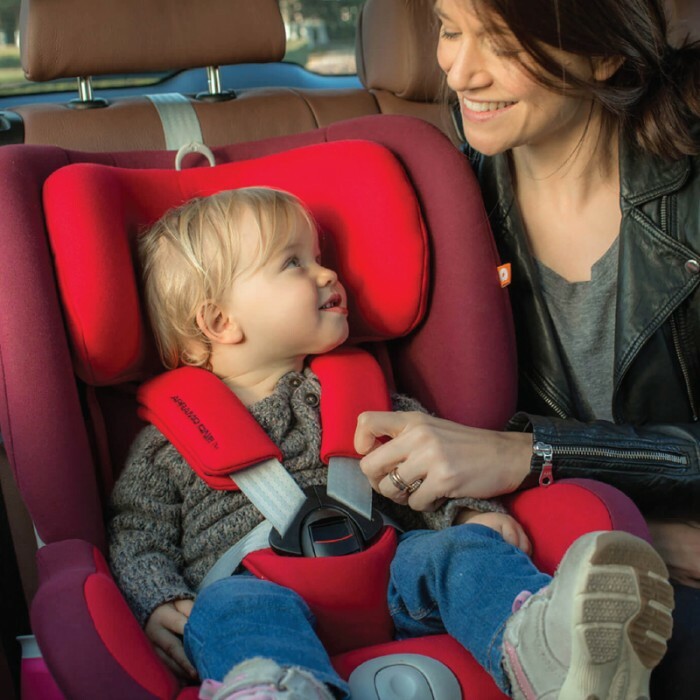 In response to the consumer demand of greater safety, Apramo has successfully designed its next child restraint system – APRAMO ONE™ – with the 5 point harness being used up to 25kg (group 2 or approx. 6 years old). 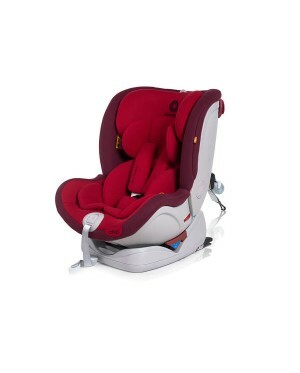 The 360° rotation makes it easy to take the child in and out of the seat, and changing from forward to rearward facing or vice versa takes only seconds. When using for the baby below 13kg (group 0+), the APRAMO ONE™ is designed to be fixed rearward facing in the car with both rigid fix and top tether, and adjusted to a full recline position, to give the baby the most comfortable and safe angle. 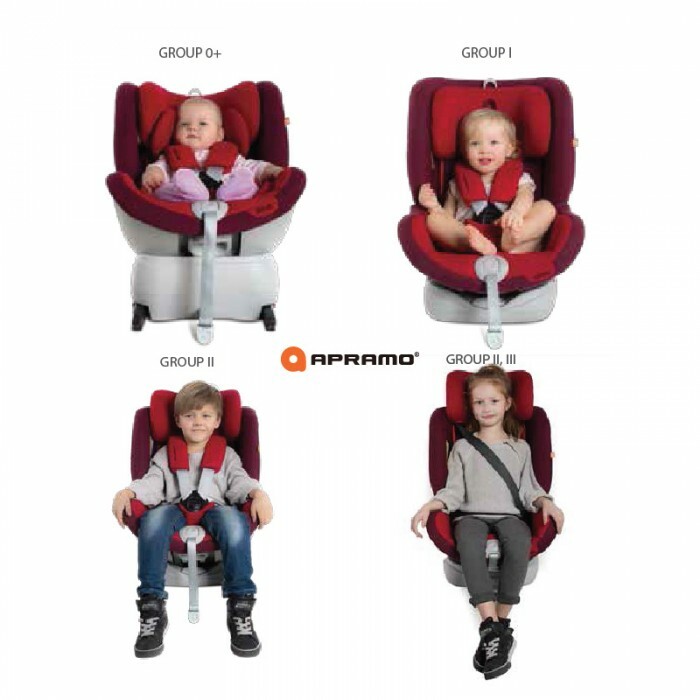 The APRAMO ONE™ is used in the fully reclined position for Group 0+, for Group 1, 2 and 3, the APRAMO ONE™ offers 5 recline positions for maximum comfort. 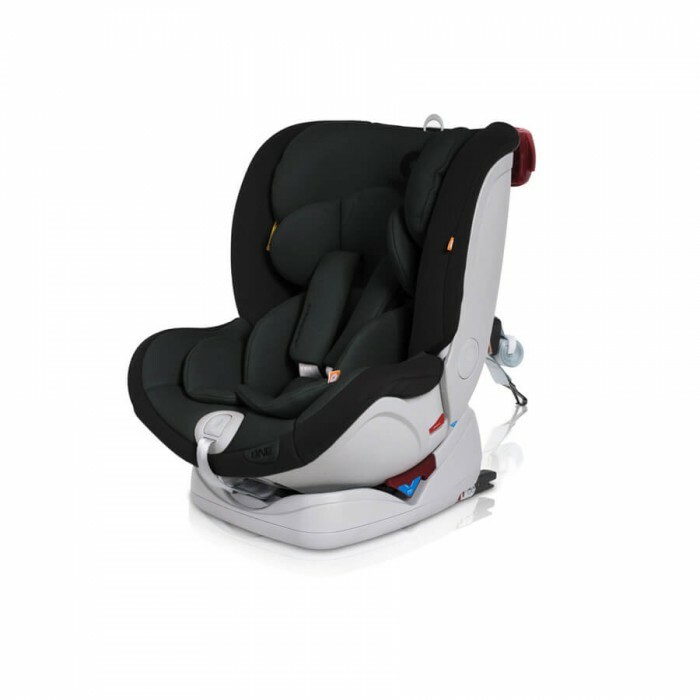 The headrest easily adapts to fit a growing child, and can be adjusted quickly and easily without removing the seat from the vehicle. APRAMO ONE™ is designed to support child growth with height adjustable headrest with one – pull mechanism by the overhead puller, with extra adjustment by single hand lift-up mechanism. APRAMO ONE™ has been designed for using from birth to approximately 12 years of age. Apramo understands that in 12 years, the covers will need to be removed for cleaning many times, so we have developed our covers to make removing and replacing as easy as possible.